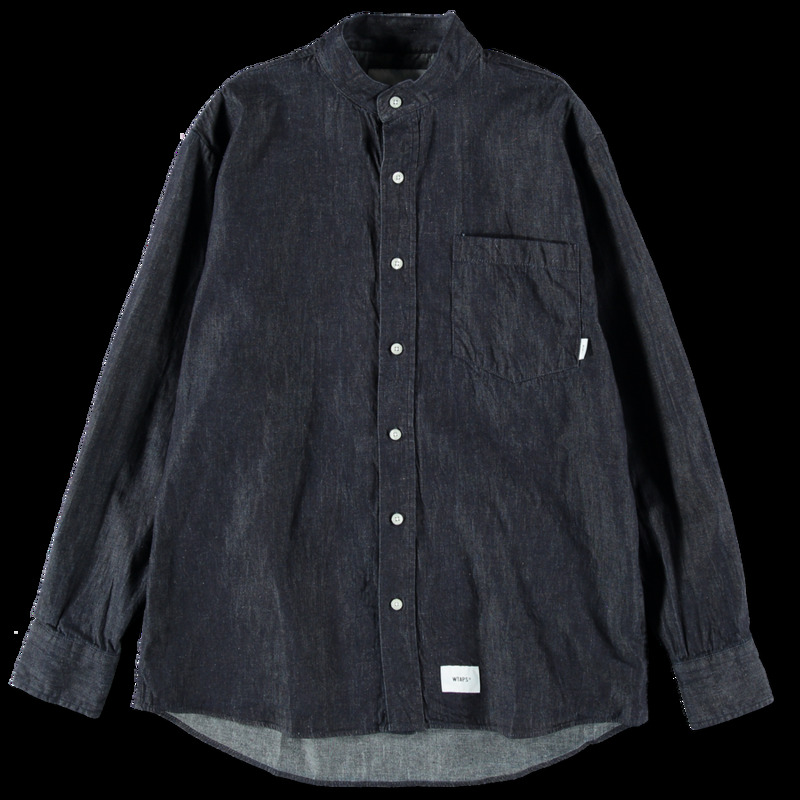 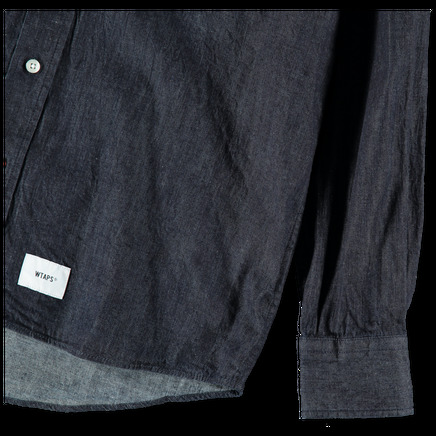 Twain Shirt Cotton Denim by WTAPS. 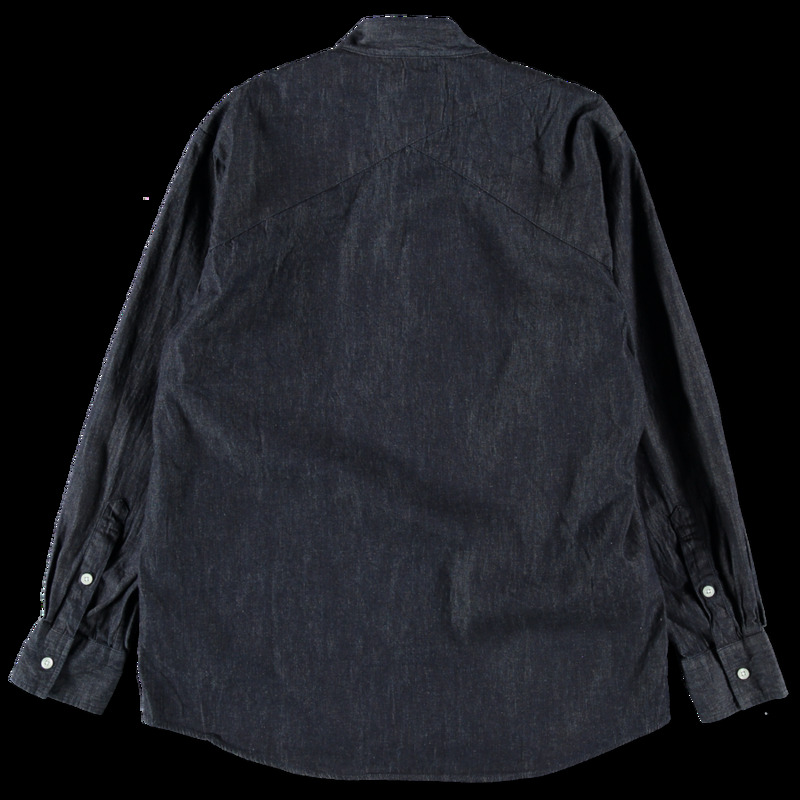 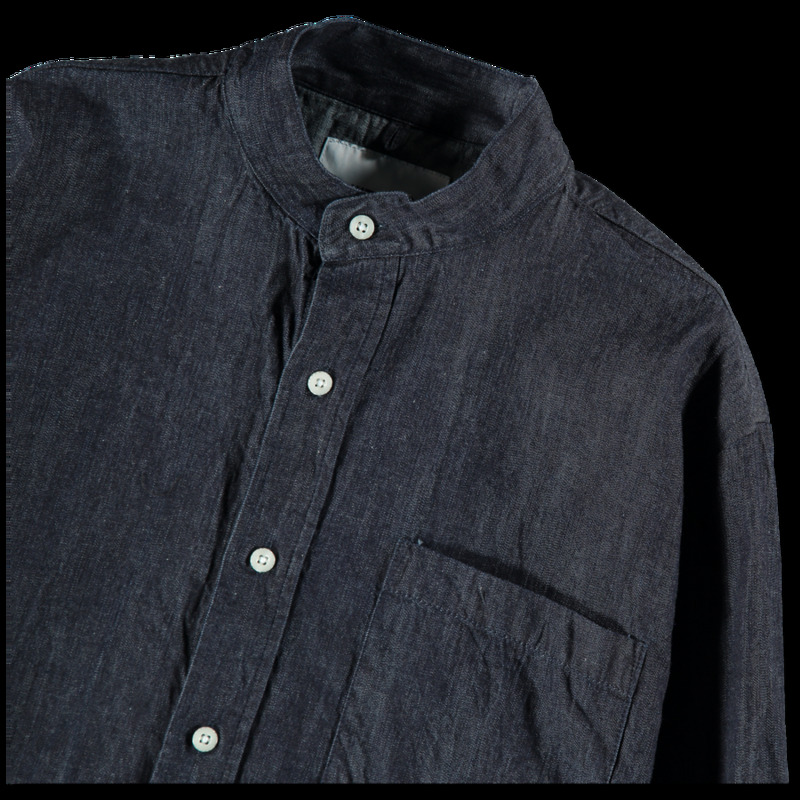 Indigo shirt with stand collar, single chest pocket and rounded hem. Small woven tab logo.